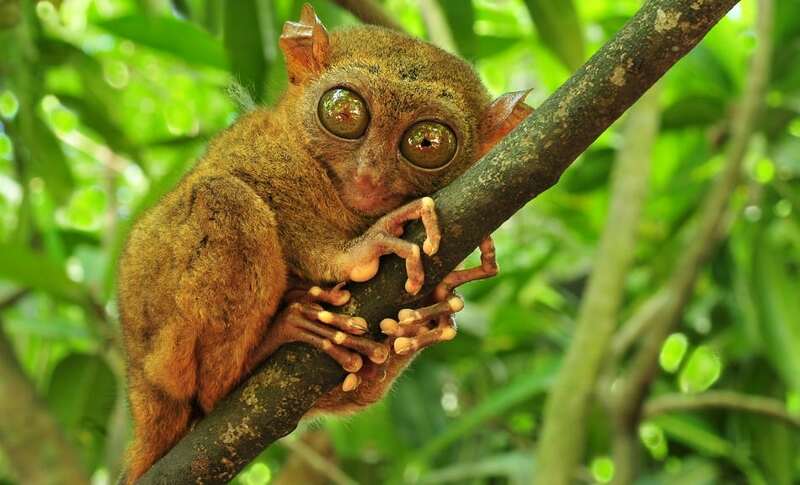 The Tarsier, the world’s smallest primate, is found on various islands of Southeast Asia, including the Philippines. Tarsiers are a mix between lemurs and monkeys, measuring 3.5–6 inches long, not including their tail of about twice that length. They have the ability to leap to 40 times their body length.